It’s been an eventful week across the Pacific. The Nikkei didn’t reward investors any by losing 0.3% over the past five days, but the world’s third-largest economy both won a victory with a developing free-trade bloc and was struck with disappointing trade data. Japan’s top companies and stocks have been on the move as well. Let’s get caught up on everything you need to know. Japan’s government struck gold on Saturday, when the country won approval to join the Trans-Pacific Partnership, or TPP, free-trade bloc talks. The TPP already includes such nations such as the U.S., Canada, and Indonesia, and opening up free trade with some of the most powerful economies on the Pacific Rim could add another driver to Japan’s attempts to grow its stagnant economy, particularly by giving a boost to exports. The country’s exports should be helped by the weakening yen, but progress has been slow so far. Japan’s government reported an $83.4 billion trade deficit for the last fiscal year ending in March, a record that nearly doubled the record deficit from the year before. China’s nationalist spat with Japan over the Senkaku Islands hasn’t helped Japanese exports to the world’s second-largest economy, and exports to China fell more than 9% for the year — a number that a more than 10% gain in exports to the U.S. couldn’t overcome. The weak yen hasn’t helped so far, as Japan’s deficit in March was also a record for the month. Japanese automakers are hoping to turn that trend around. The leading companies have gathered at the Shanghai Auto Show, hoping to lure Chinese customers back into their good graces. China’s political strife with Japan contributed to a nearly 18% sales loss in March for Japanese automakers, even while total Chinese auto sales grew at a double-digit clip. Nissan (OTCBB:NSANY) expressed optimism, projecting 16% sales growth at its Chinese joint venture in 2013. The announcement buoyed the car company’s stock, sending Nissan’s shares up 2.6% over the past week. Nissan is targeting younger Chinese consumers in particular, attempting to lay the foundations of a strong future in the world’s largest car market by vehicle sales. Fellow Japanese automakers Toyota Motor Corporation (ADR) (NYSE:TM) and Honda Motor Co Ltd (ADR) (NYSE:HMC) didn’t receive the same boost to shares this week, with the former’s stock dropping more than 0.2% over the past five days, while Honda Motor Co Ltd (ADR) (NYSE:HMC)’s shares ticked up less than 1%. 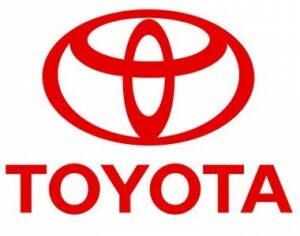 Toyota Motor Corporation (ADR) (NYSE:TM)’s targeting China’s entry-level market with its Vios and Yaris vehicles, looking to recapture sales with the fuel-efficient models. Still, Toyota Motor Corporation (ADR) (NYSE:TM) has work to do in China: Company sales fell by more than 800,000 vehicles, or 5%, in 2012, and rivals have capitalized to lead the growing market. Toyota Motor Corporation (ADR) (NYSE:TM) can’t afford further sales declines, with its grip on the Chinese market already slipping. Honda Motor Co Ltd (ADR) (NYSE:HMC), meanwhile, introduced several new concept cars at the show on Saturday as it plans to expand its own Chinese niche. The article Japan’s Exports Flounder As the Nikkei Falls originally appeared on Fool.com and is written by Dan Carroll. Fool contributor Dan Carroll and The Motley Fool have no position in any of the stocks mentioned.